John 1:40 One of the two which heard John speak, and followed him, was Andrew, Simon Peter's brother. Last week as I was preparing to preach through John 6:1-14, the account of Jesus’ Feeding of the Five Thousand, I came across the reference to Andrew in John 6:8. What interested me was the description of Andrew as “Simon Peter’s brother.” This same description had appeared in John 1:40 when Andrew first entered the narrative. Why does John repeat this reference? Surely the reader would remember who Andrew was. This reminded me of one on the “internal” arguments against the authenticity of Mark 16:9-20. 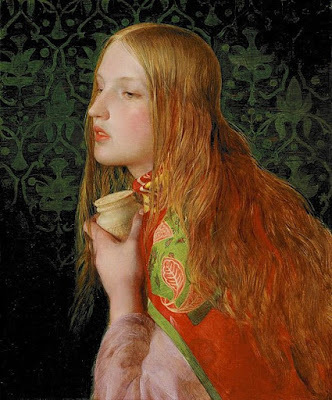 It is suggested by those who reject the passage as spurious that the description of Mary Magdalene in Mark 16:9 as one “out of whom he [Jesus] had cast out seven devils” (cf. Luke 8:2) is incongruous with the fact that Mary had previously been introduced in the narrative (15:40, 47, and most importantly, in 16:1). This supposedly “proves” that Mark 16:9-20 had been tacked onto the narrative at a later stage with the addition’s repeated introduction making for a clumsy transition. Would such interpreters also suggest, however, that John 6 is a spurious addition to John, since Andrew is re-introduced in the narrative, after making his original appearance in John 1:40? Clearly, the ancient writer did not think it inappropriate to offer descriptions of characters later in the narrative who have already appeared earlier in the narrative. So, John’s treatment of Andrew illumines Mark’s treatment of Mary Magdalene and supports the traditional ending’s authenticity. Excluding the final twelve verses of Mark's gospel based on "Markan" vocabulary is to disguise personal preference with a scientific-philosophical mask. Without the autograph, which is the MTC's puzzle box to, we cannot scientifically know where he ended it. Claiming to know is to potentially, commit an incomplete induction. In the end the text one accepts is based on faith and not evidence. Agreed. For an overview of the many convincing arguments based on internal evidence in favor of the authenticity and originality of the traditional ending, see Nicholas P. Lunn's book "The Original Ending of Mark." Thanks, I will get a copy of that. I want to thank you for your work on TC as it has been a great blessing. I will get a copy of that during this season. I want to thank you for your work in the area of text as it has been a great blessing. NE, thanks for the encouragement!